This week, sustainable fashion brand Everlane partnered with The New York Times to launch “The Everlane x The New York Times” effort. The campaign, launched in tandem with Earth Month, aims to share the facts around the issue of climate change – and support news organizations that tirelessly work to share that story. The Everlane website brings the impetus to life: “At Everlane, we believe that to make good decisions, you need to start with the facts. 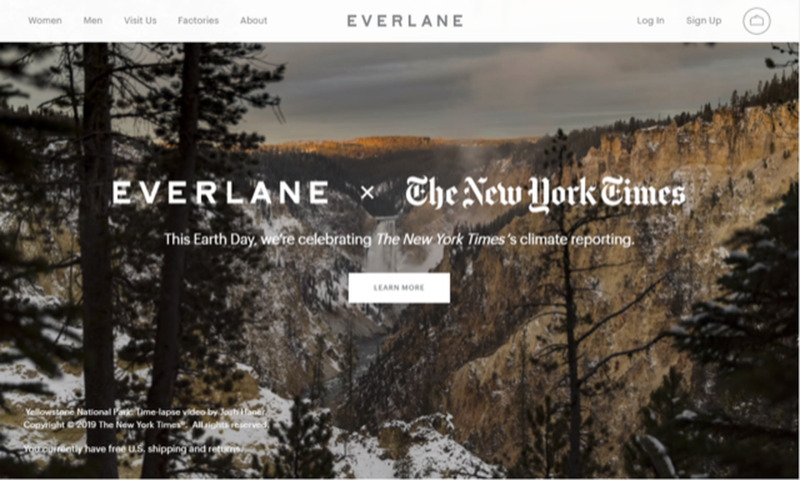 And no one is better at bringing the truth to light than the journalists at The New York Times.” As part of the campaign, Everlane has launched the “Climate Collection,” which features The New York Times-branded t-shirts and sweatshirts. For each item sold, nine public school students will receive access to The New York Times through its subscription sponsorship program.